No matter how bad our political discourse gets — and I wouldn’t exactly describe it as being at it’s zenith — it’s pretty hard to imagine a civil war breaking out in the United States during our lifetimes. But five years ago this month, millions of Syrian citizens were forced to reckon with a similar cataclysmic reality. What would you do if your community was suddenly turned into a combat zone? Would you run? Would you stay and fight? On this week’s Harvard Kennedy School PolicyCast podcast, Vera Mironova, a research fellow jointly with the Belfer Center’s International Security Program and the Women and Public Policy Program, discusses the factors that influence how people choose what to do when their neighborhood becomes a battlefield. Mironova and her fellow researchers have been surveying both fighters currently on the front lines and refugees who fled their homes to try and figure out what factors influenced their choices. She explains how those who choose to fight are often compelled by their level of grievance with the Assad regime, but their choice of who to fight for is more complicated and changes frequently. Often it comes down to institutional questions of whether they would be offered food, pay, or medical services. She quotes one ISIS defector as claiming that the majority of Syrians fighting for ISIS today would convert to Christianity if it paid better. You can listen to the episode above, or download the episode for free on iTunes. 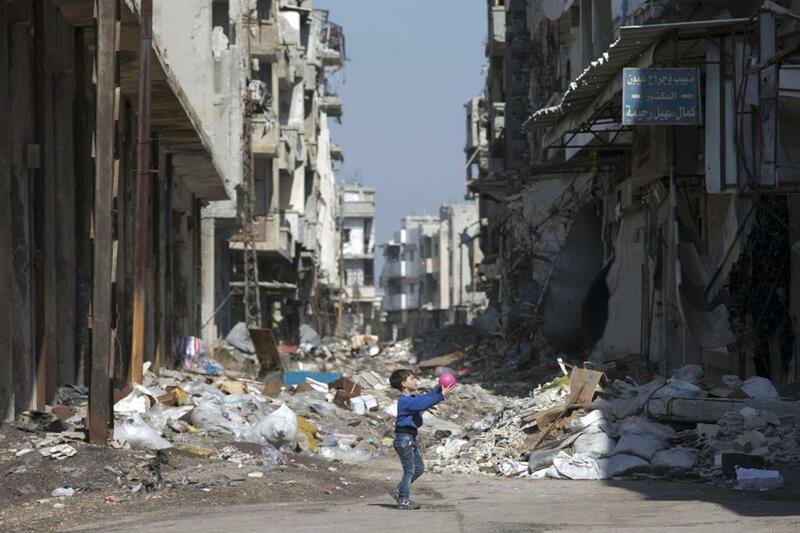 A Syrian boy played between destroyed buildings in the old city of Homs, Syria, on Friday.